September 2010 – Campaign Success! YOU can help stop Tesco NOW! Tesco have recently submitted their final applications to Bristol City Council for permission to open in Stokes Croft. You have until 12 November (this Friday!) to formally object to Tesco. Email: nigel.butler@bristol.gov.uk (CC: rachel.h.bibb@gmail.com so we have a copy) or write to: Nigel Butler, Development Management, City Development, Bristol City Council, Brunel House, St, George’s Road, Bristol BS1 5UY. We’ve created a template letter help you raise issues that will be taken seriously by the Council. Only Planning issues (rather than concerns with Tesco generally) can be considered by the Council so it’s important to link your objections to these. Please use this TEMPLATE LETTER – you can cut and paste it into word document and add your own comments – personalised letters will be significantly more effective. 2. Put Wed 8 December, 2pm in your diary to attend the meeting at Council House – our community will continue to stand united. 3. Spread the word to all your friends and neighbours. 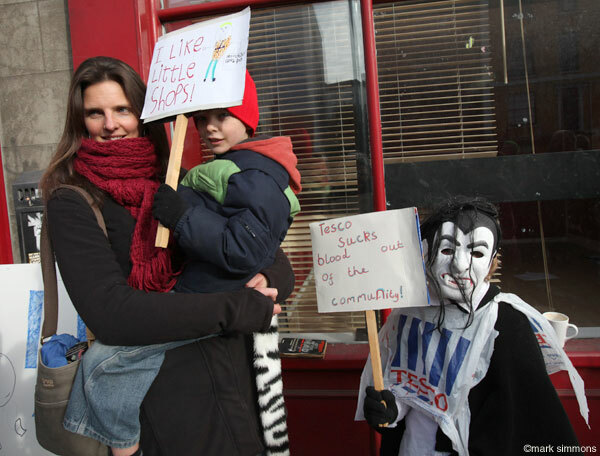 The more people that object, the more likely we will stop Tesco. We urgently need someone to take on updating the website. This is a great opportunity to get experience working with a dynamic team of experienced campaigners and to have your work seen by thousands across the world! Please email milneclaire (at) yahoo.co.uk saying why you’re interested and your experience of writing for public audiences. If you would like to be kept informed about developments in the campaign, learn more about how to protect your community from supermarkets or find out what you can do, sign up to our mailing list HERE or join the campaign Facebook group Tesco at the former Jesters site, Stokes Croft? You must be joking. Not another one there’s two within a short walk. Why Don’t We Want a Tesco? Sign me up to the No Tesco Blog!